"Powering Health Literacy through Volunteerism"
We are a non-for profit, run primarily by volunteers from Fiji and abroad. We conduct Public Health Literacy programs, Food literacy programs plus Nutrition, Dietetics, Occupational Therapy, Community Services, Physical Activity and Youth Projects in Fiji, and facilitate health research, masters thesis & dissertation. Join our Health Literacy programs. Special programs are developed for Groups & Universities. Join us as a team or on your own. Lodge your interest here. ACATA (Action for Children And The Aged) Trust Fiji is a leading NGO in health literacy and behaviour change programs in Fiji. We have a strong network and trusted reputation: working in partnership with the Ministry of Health, Ministry of Education, Diabetes Fiji, Corporate, Town Councils & Health NGOs (local & international) to deliver innovative, evidence based behaviour change programs in schools, villages & communities. 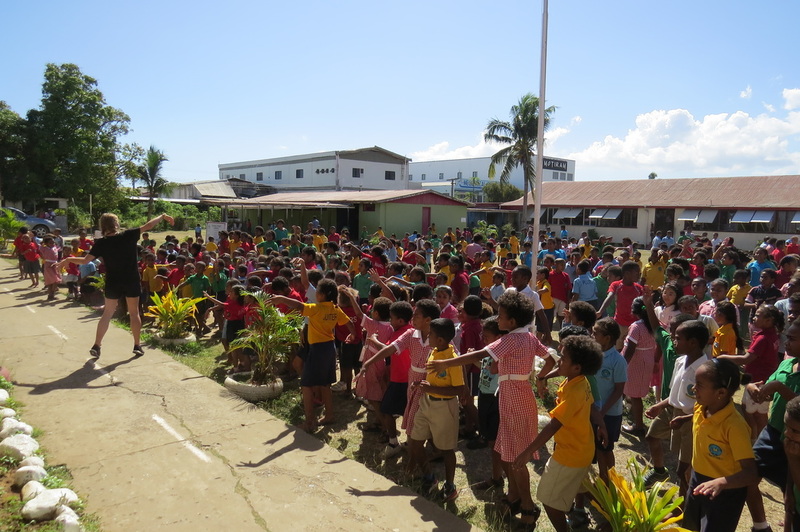 We designed and implemented Fiji's first school health & wellness policy, having worked in more than 25 schools, 20 villages and numerous corporates. Our programs have touched the lives of more than 150,000 Fijians so far. We have designed and conducted volunteer based programs for various volunteer agencies over the past 5 years, engaging more than 300 volunteers from all academic backgrounds, especially in nutrition, sports science and dietetics. We specialize in impact education and behaviour change models, and health empowerment through institutions and communities. NCDs kill more than 4000 people in Fiji each year, giving an average of around 11 deaths per day. Associated risk factors are unhealthy diets, tobacco use, physical inactivity, the harmful use of alcohol and unhealthy diets. Poor Dietary patterns contributes to the NCD disease burden more than any other risk factor. We run programs directly, cutting out the middleman and agencies, ensuring that the money goes to community based programs, whilst safeguarding our organisation sustainability. Our homestays or group accommodations are only going to provide healthy local food, focusing on global nutrition principles, whilst empowering the locals. How much does it cost to take part in our projects? Our primary objective is to deliver and facilitate quality health literacy programs to the Fijians, while offering affordable volunteerism opportunities to all. We do not charge any application fees. Placement fees covers home-stay accommodation, breakfast, lunch & dinner, supervision, project expenses, administration, and school registration fees. Any leftover funds is pumped back into the organization for public health projects (every 6 months) and organization sustainability. We have field supervisors at project sites and volunteers do not pay for any office or marketing costs. We are a not-for profit organization, and as such, project fees are low and depends on the length of stay in Fiji. 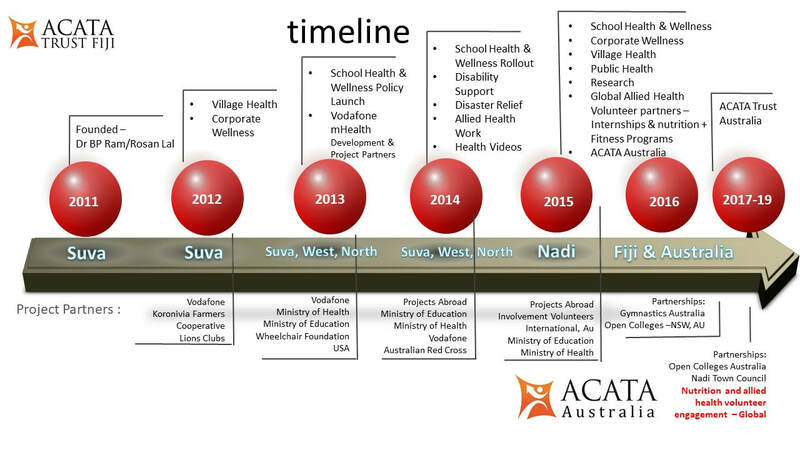 Our main objective is to deliver quality health literacy projects in Fiji. We value the power of volunteerism and appreciate the skills and knowledge each volunteer brings to the project. Major chunk of the project fees is taken up by accommodation, meals and logistic management. Email your expression of interest on the intended length of stay and your budget, and we would be happy to accommodate reasonable offers. Average cost of projects are around AU $250 - $500 per week depending on length of stay and the nature of work we are engaged in during the period. Due to fixed fees, longer stays are cheaper. Apart from this, you will have to consider your airfares, volunteer visa fee of FJD 180, mandatory travel Insurance, tours, travel to and from placement (approx $2 per day) and spending money. Please email us for family or group fees. The main project supervisor is an Australian qualified nutritionist and Health Science graduate with Training & Assessment Certificate, and we sign off on all volunteer placement/attendance forms. 50 % of Fijians are projected to acquire Diabetes within the next 5 years, placing a huge social, economical and emotional load on their families. Currently, 1 in 3 Fijians are found to have elevated blood sugar, and this is primarily attributed by the excessive consumption of simple carbohydrates like white rice, refined flour and cassava (a local root crop with very high Glycemic Index). The biggest challenge to better health in Fiji is the lack of health literacy and good food culture that goes along with it. Pre-mature deaths (around 11 a day) due to NCDs is now seen as normal in Fiji and we are trying hard to change the mindsets of the Fijians everyday. More than 90% of the people have abdominal obesity and this increases the risk of NCDs. More younger people are now showing signs of Diabetes than ever before. Very few people are doing physical activity for recreation and this has just been the culture. Modernization is taking over Fiji without the appropriate health literacy. People are taking short cuts without realizing the impact it is having on their health. Our objective is to empower Fijians to make informed decisions about their lives through simple, innovative and evidence based health programs. Our projects allow us to do research to better understand health attitudes and behaviors in Fiji. We aspire to transform health behaviors and save the next generation from the misery and suffering of NCDs. We do this mostly through our school health education programs, empowering a new generation of change. You will map personal health attitudes and behaviours through a personal health mapping questionnaire and counsel Fijians on good dietary and wellness guidelines. Monitoring and evaluation is an integral part of our programs. We will map behaviour change and provide support programs to motivate the change. Our support programs are cooking classes, innovative recipe ideas, backyard gardening, permanent agriculture practices, superfood gardens like Moringa farm or a Bele farm, physical activity groups, creation of sustainability groups amongst young mothers and youths, and FIji Vitality Challenge. The Fiji Vitality challenge emphasizes on holistic health, natural foods and improving quality of life for the Fijians. "Being involved in ACATA Trust’s nutrition and public health program is one of the most rewarding things I’ve partaken in. The skills and knowledge I obtained over there, I will take with me into a career in nutrition and the confidence I have gained is enormous. The nutrition and public health program was great as it was flexible, allowed us to work in a variety of settings and provided many different challenges. The program took a holistic approach to health which meant not only was it about trying to change dietary habits in individuals but about helping Fijians create goals to improve their overall quality of life as well as have an impact on government policy. Over the two weeks we conducted nutrition classes in schools, Zumba and yoga fitness classes, a large public health screening and counselling in Nadi, village health screenings and a small pilot study on the topic of pre-diabetes prevalence amongst secondary school aged children. The impact and reach we had was far greater than I ever expected. Though some the of the results we obtained on the health of locals were confronting, the Fijian people were amazing to work with and showed much willingness to engage, learn and make a change. All this would not have been possible without the amazing work done by Rosan and Sarah to developed ACATA Trust. Their passion for improving the health and lives of Fijians is inspiring and was a privilege to work along side them. Thank you, Rosan and Sarah for being such great mentors. We accomplished so much in the short two weeks while still having fun, lots of laughter and many funny memories. I look forward to being involved in the program in the future." "From an academic point of view, ACATA Trust Fiji has helped me understand more about the functioning of an NGO, project coordination, and it has helped me develop various kinds of know-hows that will come in handy for any future work as well! The program itself was very flexible, and gave me the opportunity to make use of my particular skill-set and strengthen my communication, interpersonal, managerial, and many other abilities in an independent and pro-active manner! The work that I did during this program didn't even feel like 'work' because it was so interesting for me! The time passed way too fast! From a personal perspective, ACATA Trust has enabled me to discover more of what I am hoping to do for a living one day! My area of interest lies within the health sector - although I'm still figuring out what area in particular I'm hoping to get involved in - and ACATA Trust has given me the opportunity of taking my first step into this area of development! Rosan and Sarah have been the most helpful project coordinators and were able to include any ideas and thoughts I brought to the program! The home-stay was organised incredibly well and I have found some of the best friends I could have hoped for whilst I was there. Leaving the school at the end of my stay was really hard, because everyone I met (staff and students) were so welcoming and friendly! 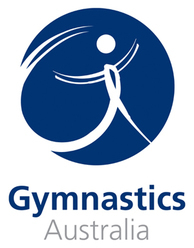 This program is 100% worth any recommendation, thanks to Rosan and Sarah!! Thank you for making my experience with ACATA Trust Fiji such an unforgettable one! " Interested in Internships and volunteer opportunities that include home-stay, meals, project and administration costs? Let us know. ACATA Nutritionist, Sarah Burgess-Lal (far left) and ACATA Executive Director, Rosan Lal (far right) launching the School Health & Wellness Policy in a Primary School in Nadi. August 2016: Volunteers Bethany and Christina from Denmark leading a school lunch hour Zumba session. External content- authors are specified in document. Senior lecturer at University of Fiji & Umanand Prasad School of Medicine Head of Community Medicine. He has been a pioneer in Fiji medicine since the late 1970s setting up community medicine programmes & outreach medical outposts, and has published research papers on several of his key integrative health issues. He is the founder and President of Fiji Haemophilia Foundation. immunity, digestion & Thyroid –Liver health, detoxification, diabetes, Renal disease / Chronic Kidney failure, cardiovascular health, infectious disease control and more. His approach integrates modern science with traditional wisdom for optimal health, healing and wellness.He has been team member for the establishment of first Fiji Cardiac Unit / Fiji Births Online registry and Fiji Cancer Registry.